Photo by Harry How/Getty ImagesConor McGregor. Conor McGregor has been told he cannot fight for a month. McGregor was slapped with a medical suspension after he submitted to Khabib Nurmagomedov in a dominant display by the Russian in the UFC 229 fight on Saturday. McGregor was also barred from engaging in any contact training, including sparring. The medical suspension considers only events that transpired during UFC 229. McGregor may face another ban from the Nevada Athletic Commission, which is investigating the rioting after the fight. Conor McGregor has been slapped with a medical suspension. The Irish striker submitted in the fourth round of a dominant fight with the reigning UFC lightweight champion, Khabib Nurmagomedov, at UFC 229 in Las Vegas on Saturday. After Nurmagomedov made McGregor tap, the Russian refused to celebrate, jumped the octagon fence, and charged at Dillon Danis, McGregor’s cageside friend and fellow fighter. While that was happening, a brawl broke out in the cage, as punches were exchanged between McGregor and members of Nurmagomedov’s team. Medical suspensions consider damage to a fighter during a competition, including strikes to the head and body, as well as from locks, holds, and submissions. Medical suspensions are common. According to Forbes, 13 fighters, including McGregor, have been ordered to have time off. 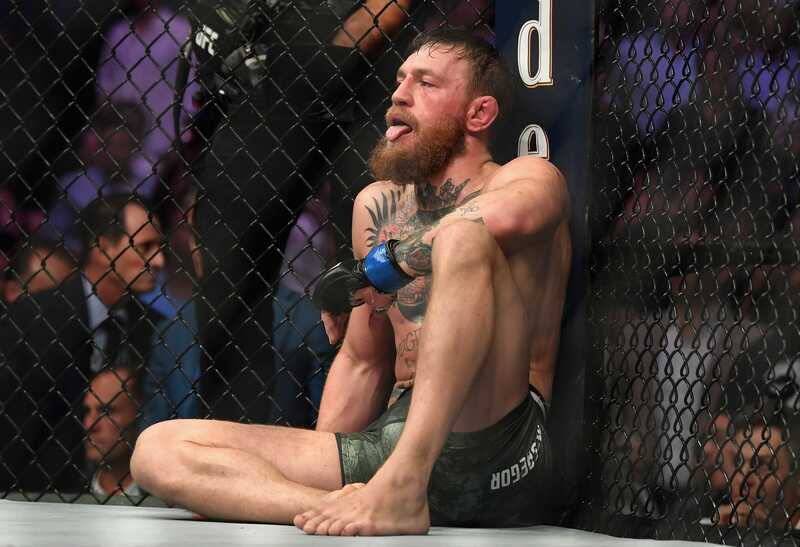 McGregor is not allowed to fight for one month, until November 6, and was told he cannot engage in any contact training – sparring – until October 28, according to Forbes. McGregor could also face an increased ban after the Nevada Athletic Commission concludes its investigation into the riot that erupted after the fight. The commission has withheld Nurmagomedov’s fight salary, according to MMA Fighting. McGregor, meanwhile, got paid.